Log in to the GSM console. The main GSM console displays with the Sites tab active. Click the Account Settings tab. 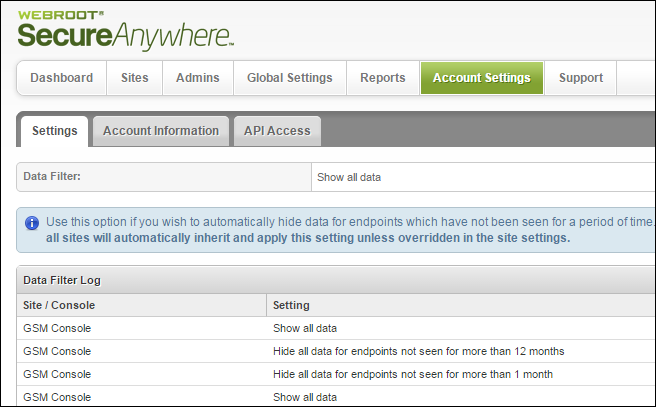 The system displays the Account Settings panel, with the Settings tab active.